The website offers or may refer to various services for which personal information may be required from the user. When processing any personal information we comply with the requirements of the Personal Data Protection Act (Wet bescherming persoonsgegevens). Any personal information submitted to us e.g. via this website, whether by email, a contact form or by other means, will be used solely by Interclarion SL within the purpose of the World of Johan Cruyff and the relevant initiative. this is permitted by law. Users of the website have the opportunity to view, amend or delete their personal data (unless we are legally required to preserve such personal data). 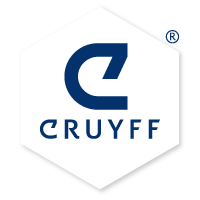 In the event any user wishes to view, amend or delete its personal data, please contact us through management@cruyff.com.